I’ve always wanted to be a singer and songwriter, but that goal quickly got buried when I shared it with my family. However, that dream of mine resurfaced after watching a movie about the band Queen called Bohemian Rhapsody. 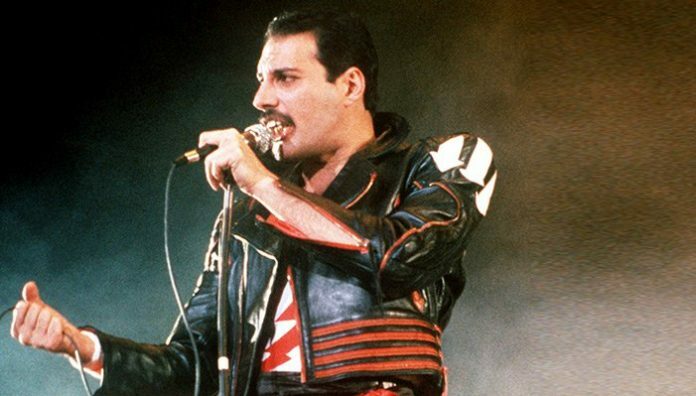 I quickly became encouraged to chase after my dream again, especially after seeing the lead vocalist, Freddie Mercury, on the screen. Music has always been my go-to. It’s like it gave me the capability to escape my own life for a little bit and dive into the lyrics and beat of a favorite song. It clears my head by allowing me to escape my own thoughts and feelings for a while. I’ve always been that person who felt something in a song that no one else could. When a song would bring me to tears I would get embarrassed and think someone would judge me for allowing a song to get that reaction out of me. I’ve always been able to empathize with the songwriter. That is why I always wanted to write songs as a career. I have so many thoughts and feelings, and while I do enjoy writing articles, I have this great big passion for music. All of these feelings made a comeback when I went to see the movie Bohemian Rhapsody in theatres. It took me for a ride. It made me laugh, and it reeled me in and brought me to tears. The lead vocalist of Queen, Mercury, was incredible and I only wish I’d been able to see him in concert. The way he captured the crowd and had them in the palm of his hand is spine tingling. The way he would sit and write songs we’ve all heard and love, and the way it would bring him to tears inspired me to continue with my passion for singing and writing. I want to have what Mercury had; the ability to have my songs played on the radio and everyone stops in their tracks. People piling into a concert venue screaming my name, because my music touches them. I used to dream as a little girl, “One day I’m going to make it. I’m going to sing for a living and make it big and prove everyone wrong.” I used to want to move away and make a career out of singing. My parents always told me to be practical, that I was a good singer but it’s just so difficult to make it big. I never should have listened. I should have done what Freddie did, sought out fame and fortune and channeled my passion in order to follow my heart and dreams. Now I regret it. But I’m still young. Is there still a chance? Freddie Mercury made me realize I can do just about anything and it’s time to stop thinking I can’t. It doesn’t matter how different you are or what you like! What matters is what you think about yourself and what you want. Do you think you can make it? Do you want whatever it is you’re striving for, and how badly do you want it? If your answer is that you want it more than anything, then go for it! The worst you can ever do is put yourself down and not chase your dreams only to regret it later. I want to tell each and every one of you reading this article, never for a second think your dreams and passions are not good enough or impractical because that’s a lie. Your dreams are what shape you as a person. You owe it to yourself to do whatever it is that drives you and sets your heart on fire. Never let anyone tell you that you can’t do something because honey, you certainly can. That was what I never realized until seeing Bohemian Rhapsody and indulging in the music of Queen, and it is something I need to change, somehow, someway. Believe me, I will find a way. For anyone who ever doubted me and my capabilities, I have four words for you: Don’t stop me now! Do You Actually Love Him Or Just The Idea Of Him?